I woke up this morning thinking, it’s going to be a good day, because Alexis asked me to watch The Secret (we’re both too lazy to read the book), and I fell asleep while watching it but the one thing I remembered was to think positive thoughts. And I guess it worked, because first thing this morning when I stepped into the office, Jo passed me a can of beer. She was all sneaky about it, giving it to me in an Accessorize bag. It’s not too sweet. Actually I think it’s a pretty good balance between the hops , malt and lychee. You kinda get a nice blend of beer and lychee. It’s like a lychee martini but a little less girly. Not that I’m demeaning girly beer – I’m a big fan of girly beer. In fact whenever I head to The Good Beer Company I ask Daniel to recommend a good zhabor beer. I guess it does have a little “sweet touch” which isn’t too overbearing. and I guess it’s NATURAL, looking at the ingredient list: barley malt, ponlai rice, hops, lychee juice, natural flavour: sounds pretty legit. ya the only thing is I don’t quite feel very ROMANTIC right now. from the pic, you can’t really tell cos i had to drink it down a couple o times before i could fit the can into the glass – pouring out of the can gives you quite a big beer head. whether you like this is subjective. 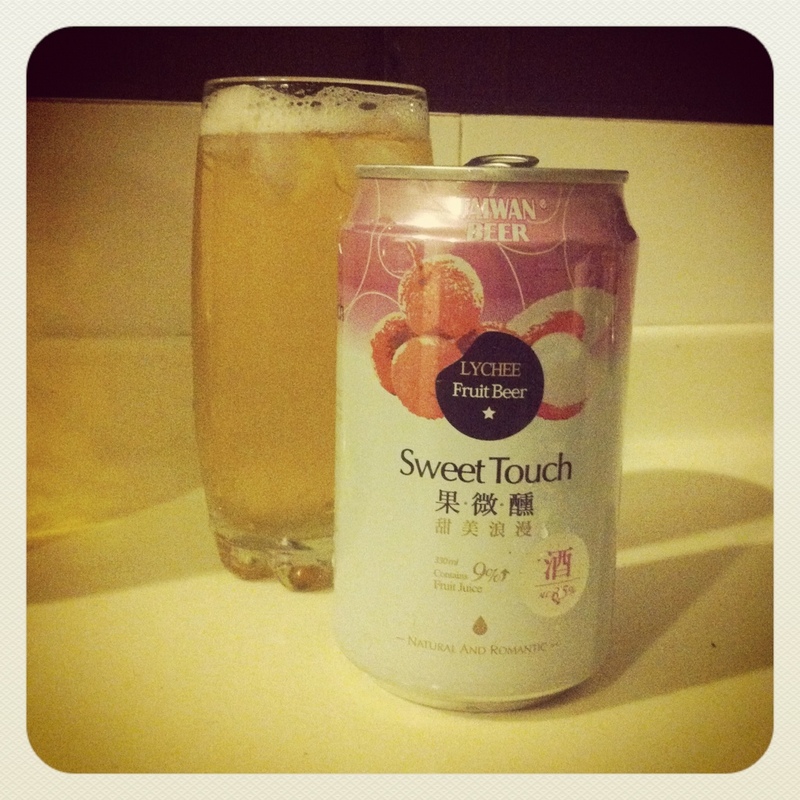 9% lychee juice, 3.5% alcohol. 100% satisfaction. HA. have it chilled. [edit: I don’t know what the price is. Jo says $6++ for 2 cans, on promo now.] If you can’t find it at NTUC, it’s jo’s fault. 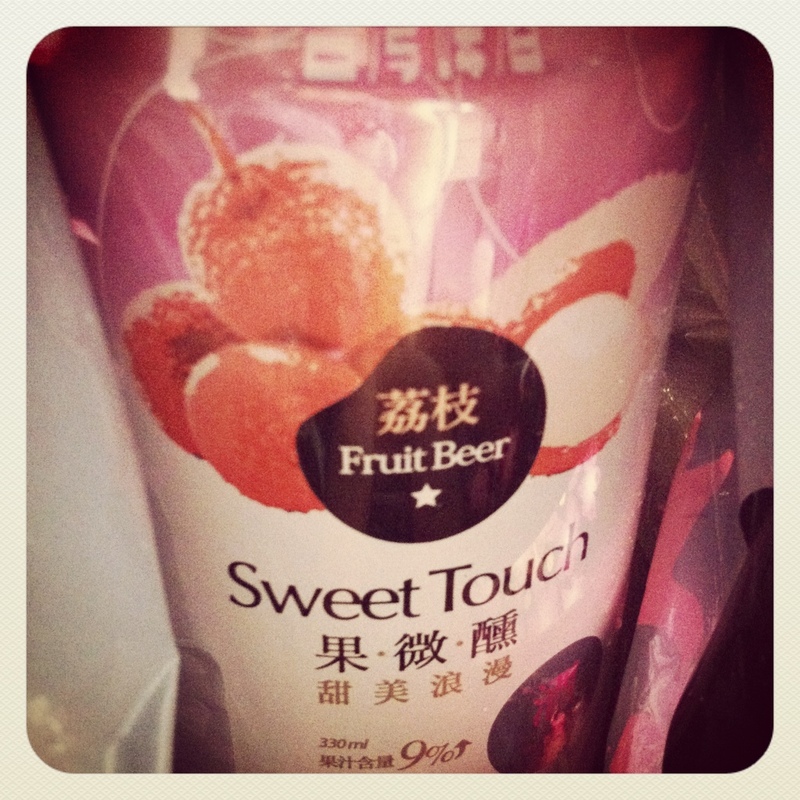 Pingback: Taiwan Beer | Random musings of a random girl.